Foreign investors are back in business. The Indian stock market has gained significantly in recent weeks, owing to buying by foreign portfolio investors (FPI). A higher inflow of foreign funds is also strengthening the rupee. 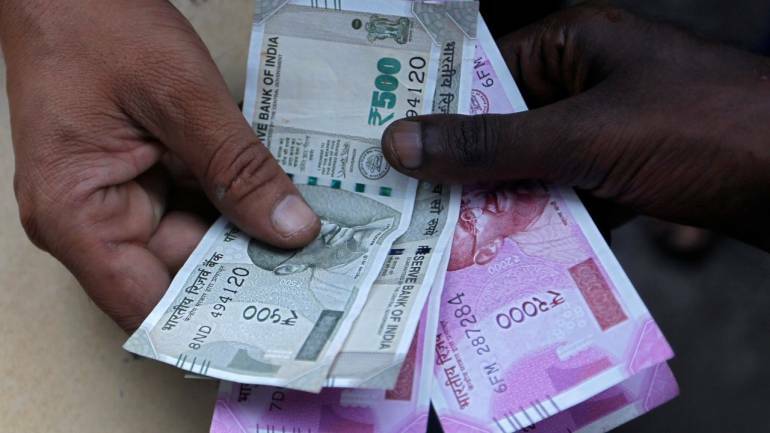 The Indian rupee touched a seven-month high last week due to buying by FPIs. Aside from global factors, markets are upbeat due to the increasing possibility of the incumbent National Democratic Alliance government returning to power after the Lok Sabha elections and easing of tension with Pakistan. The rupee depreciated significantly in 2018 due to rising oil prices and tightening of financial conditions in global markets. As oil prices came down, financial conditions in the global markets also stabilised. The US Federal Reserve has said that it will be patient in raising rates and remain flexible in normalising its balance sheet. Further, though the European Central bank has ended its asset purchase programme, it is not expected to raise rates anytime soon. The possibility of monetary tightening by large central banks in the developed world remains low in the near term, as the global economy is slowing. Therefore, financial conditions are likely to remain relatively accommodative, which will help bring money in emerging market economies like India. As mentioned above, the renewed search for yield in the developed world will increase the supply of foreign funds in the Indian market and push the value of the rupee. In such a situation, the Reserve Bank of India (RBI) would do well to mop-up as much foreign currency as possible to rebuild its reserves. There are at least two good reasons why the RBI should follow this path. First, the Indian central bank lost about $25 billion, defending the rupee in 2018. Therefore, it is advisable to rebuild the reserve as soon as possible. In fact, given the uncertain global environment, it makes sense to bolster the reserves further. Although the RBI doesn’t target any particular level in the currency market, reserves are useful in quelling excess volatility. Further, if the central bank has a large reserve, markets would also avoid excess speculation, which worsens the situation in a volatile environment. Higher reserves will enable the central bank to deal with global market risks in a better way. To be sure, the accumulation of reserves has fiscal costs. However, in an uncertain global environment, it’s worth bearing the cost as reserves help reduce excess volatility and uncertainty. Second, appreciation in the rupee will affect Indian exports at a time when the global economy is slowing. One of the reasons for expansion in the current account deficit last year was a stronger rupee. Although there has been some correction, the rupee is still overvalued in real terms. The 36-currency export and trade based index of real effective exchange rate was at 112.76 in February, showing significant overvaluation, though it has come down from the level of 117.44 in the same period last year. An appreciation in the rupee would make Indian exports less competitive. Therefore, the RBI would do well to actively intervene in the currency market to attain the twin objectives of building reserves and keeping the rupee competitive for Indian exporters.